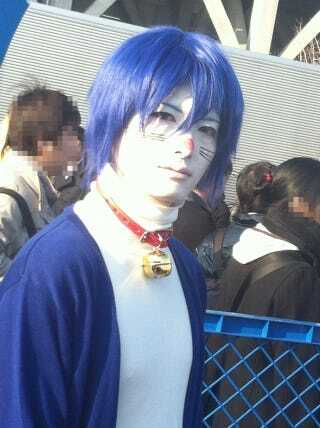 Doraemon is a fat, robotic blue cat from the future. In his belly, Doraemon carries all sorts of cool gadgets. The character, viewable here, is iconic in Japan. Doraemon also not something one would equate with handsome dude—or good hair. Yet, as this recent cosplay shows, those associations are totally possible.